The Next Stage: Women and Retirement: Creative Africa at the Phila Museum of Art is closing September 25! Creative Africa at the Phila Museum of Art is closing September 25! Rick and I have a long history of procrastinating and getting to exhibits just as they are closing. We were a little better with Creative Africa which we saw 4 days before its September 25 closing. We were both so glad we didn’t let this one slip by. 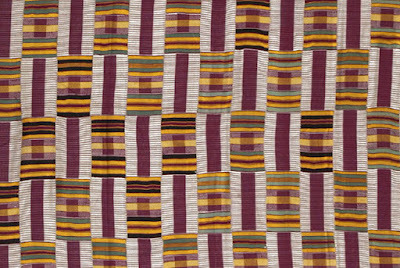 Creative Africa is a set of several exhibits about modern African arts and crafts, including photography, fashion, and architecture. The museum staff advises starting with the stunning exhibit of traditional African textiles and then moving on to 20th and 21st century iterations of the tradition. 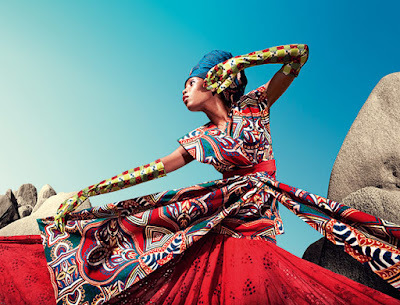 Discover the surprising story behind the colorful fabrics long associated with African fashion. 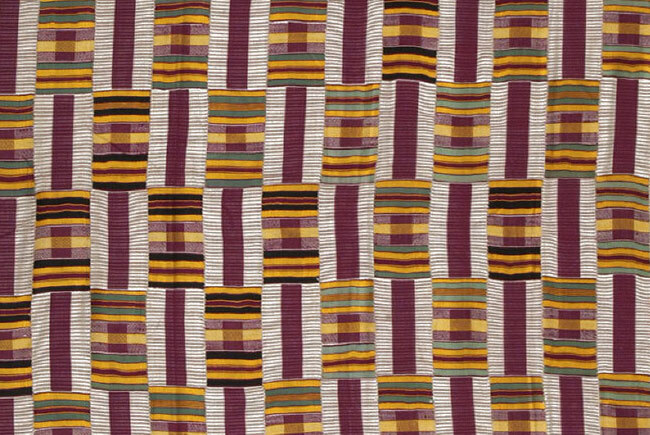 The wax printed textiles associated with Central and West Africa have a surprising history. Although consumers in Africa and the diaspora embrace them as African, the fabrics have long been designed and manufactured in Europe, and now in China and India. 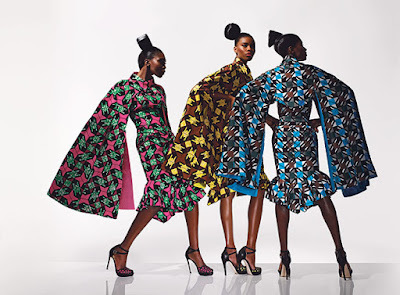 The most luxurious are the wax prints designed and made in the Netherlands by Vlisco. Shortly after its founding in 1846, the company began exporting imitation batiks to the Dutch East Indies (Indonesia). Three decades later, Vlisco found a new market in West Africa. Born in Burkina Faso and based in Berlin, Kéré integrates traditional knowledge and craft skills into innovative and sustainable buildings worldwide. In many of his projects, he maximizes local materials and community participation to reduce costs and ecological impact. This exhibition offers a look at some of his award-winning designs within an colorful interactive environment. As the first son of the head of Gando, his home village in Burkina Faso, Kéré was the only child allowed to attend school in a large city. He later attended the Technical University of Berlin, where he earned a diploma in architecture and engineering. While still a student, he established a charitable foundation, Bricks for Gando, and began to raise money to build a school there. In Gando, Kéré combined traditional Burkinabe building techniques with modern engineering methods. In 2005 he founded his Berlin office and has since garnered acclaim for his work in Western Africa, Europe, and North America. 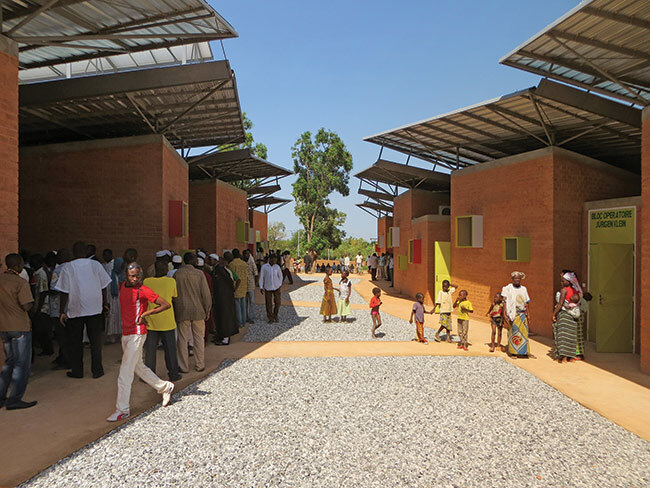 He is the recipient of the 2014 Schelling Architecture Foundation Award, the Global Award for Sustainable Architecture, and the BSI Swiss Architectural Award, among others. Whenever Fere built a school, he involved the whole village. As Fere put it: "For me, architecture is about process, experimentation, and teamwork." If you’re in the Philly area, make time for this exhibit this week end!